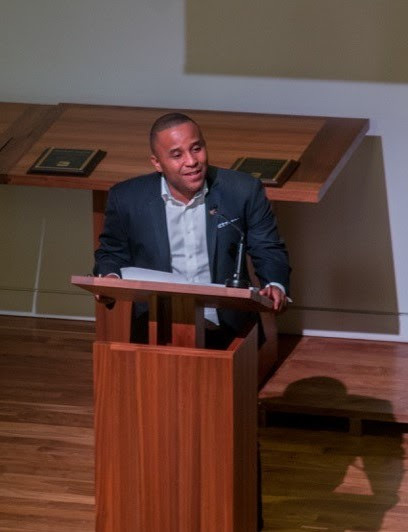 Three professional journalists underscored the important role the media play in promoting social justice at the 35th Annual Everett C. Parker Ethics in Telecommunications Lecture on October 24. The annual event is sponsored by Office of Communications, Inc. (OC Inc.), the media justice ministry of the United Church of Christ (UCC), which was founded by the late Rev. Parker. 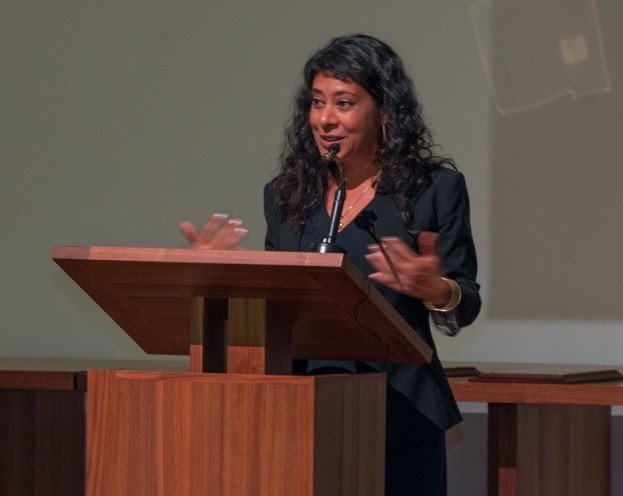 In delivering the 2017 Parker Lecture, Rinku Sen, senior strategist for Race Forward: The Center for Racial Justice Innovation and the architect of its “Drop the ‘I-word’” campaign, described how she first became sensitized to the pervasive use of the word “illegal” in describing immigrants when she interviewed an anti-immigrant activist while attending Columbia University’s Graduate School of Journalism. She noted that in 2012, before the Associated Press’s stylebook began specifying use of the word “undocumented,” the National Hispanic Media Coalition found that one-third of Americans thought all Latinos living in the United States were undocumented. “The way the press characterizes people,” she said, makes a difference in how they are perceived. 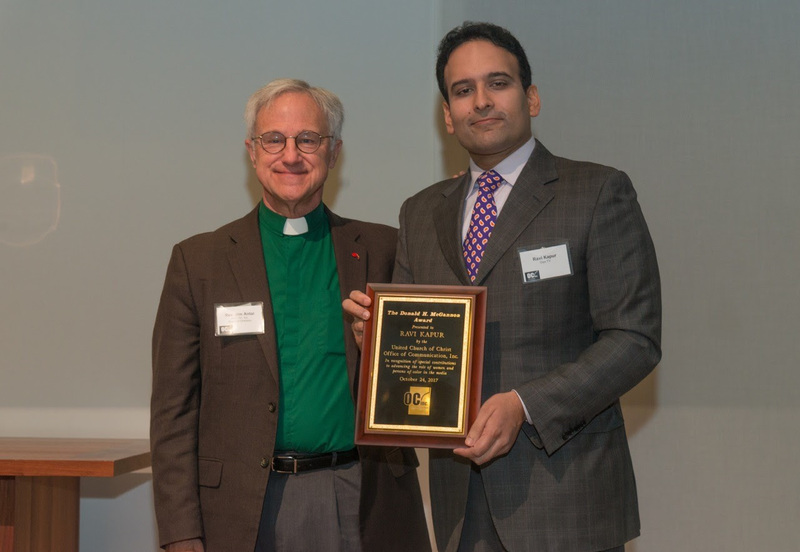 Ravi Kapur, founder and CEO of Diya TV, was honored with the Donald H. McGannon Award, in recognition of special contributions to advancing the role of women and persons of color in the media. Kapur said that as a native of San Francisco, he had grown up understanding that “diversity is a way of life,” and the importance of media in shaping one’s view of the world. Kapur said that at his core, he was a journalist, and that he may be “the only working journalist who owns a television station” in the United States. Kapur urged his audience to remember that under-served populations were not confined to the urban markets his network serves with Asian-focused shows. Rural audiences, like those in Fargo, North Dakota, where he purchased a struggling television station, have similar needs for locally generated and relevant programming. Unfortunately, he said, “the same excuses” for the lack of diversity on the U.S. airwaves “are being made today as they were when Parker and McGannon” were active in broadcasting.